You often see these racks at hotels. They are full of colorful brochures on local activities. I found this in a small airport that is used by general aviation pilots. 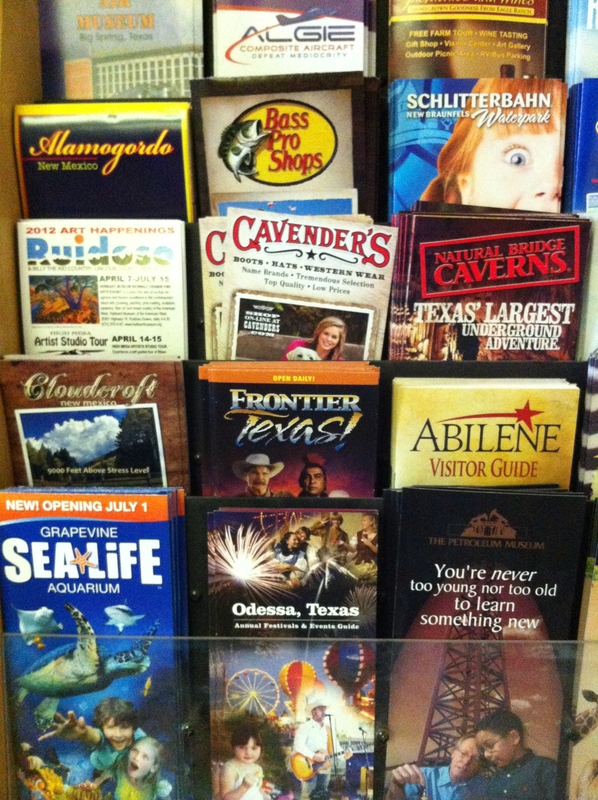 Some of the sites advertised by these brochures are HUNDREDS of miles away. 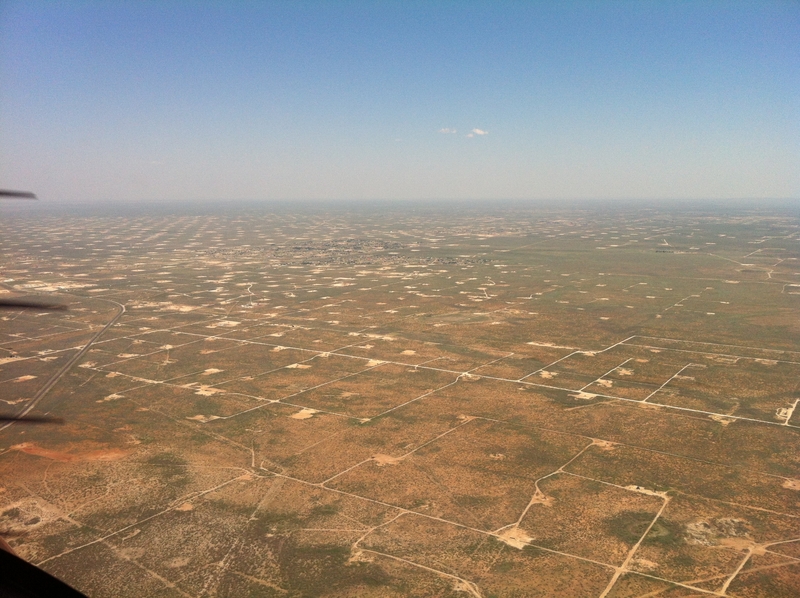 Hardly local. Wow. Surely my next vacation spot! 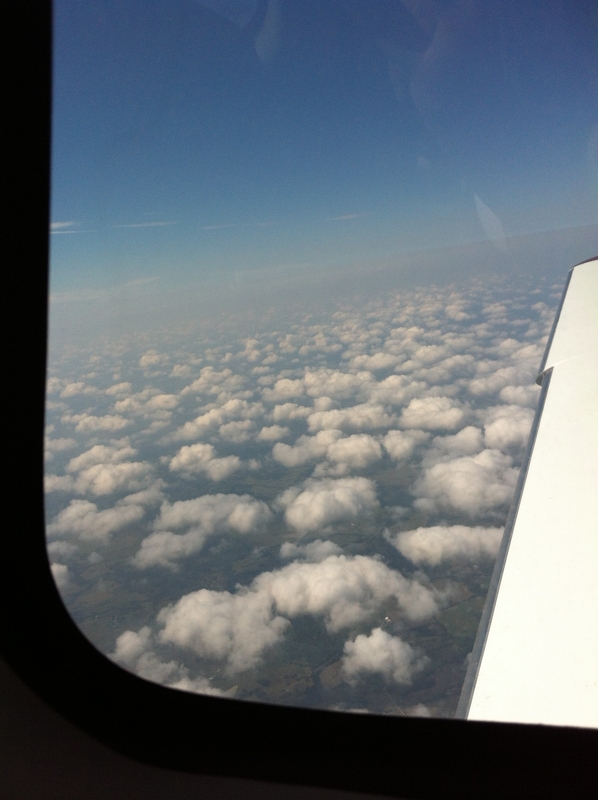 Little puffball clouds over central Texas last week. 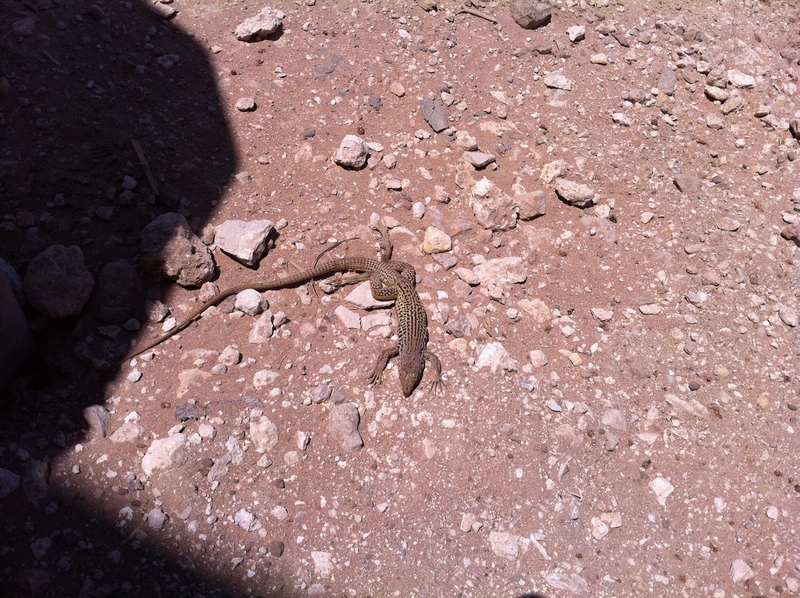 Dunes sagebrush lizard, which may go on an endangered list soon but are running around our plant site. 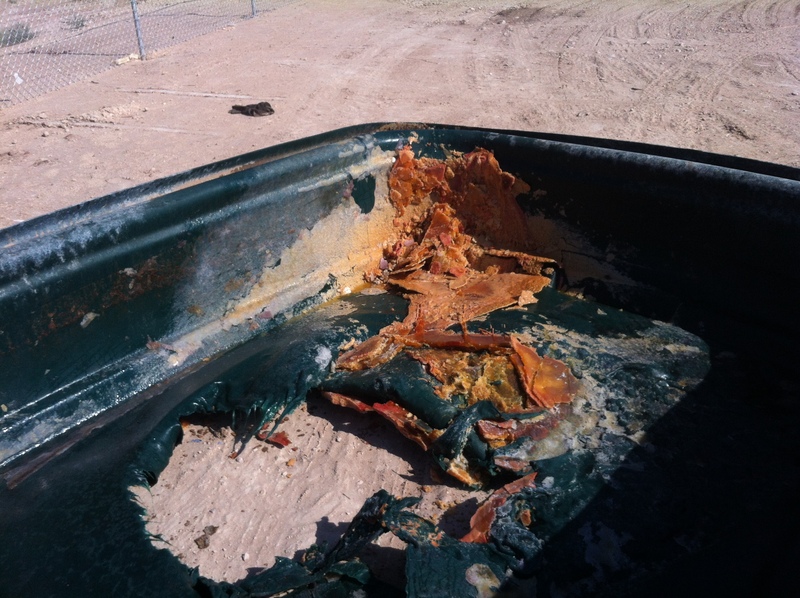 What happens when solid KOH (potassium hydroxide) comes into contact with water. Aqueous potassium hydroxide is the major component of drain cleaner. Headstone in New Hampshire cemetery. 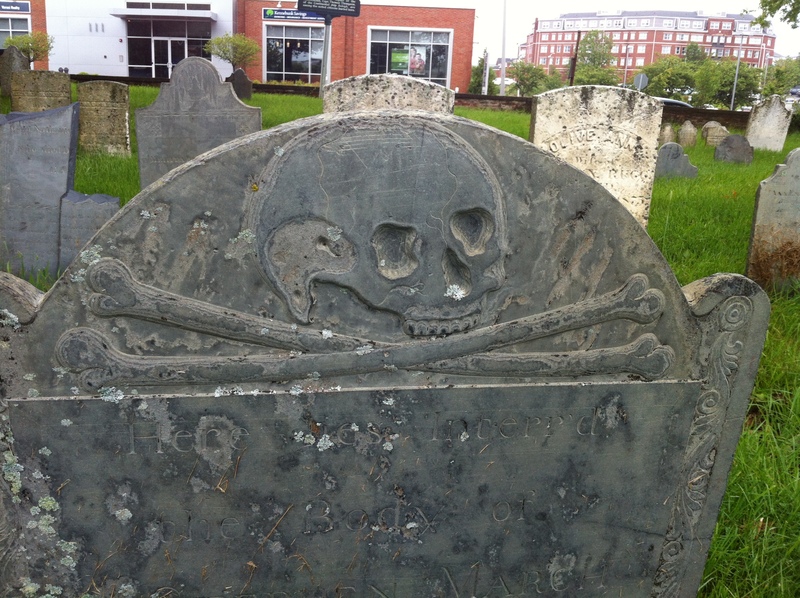 Skull and crossbones were common themes at one time. 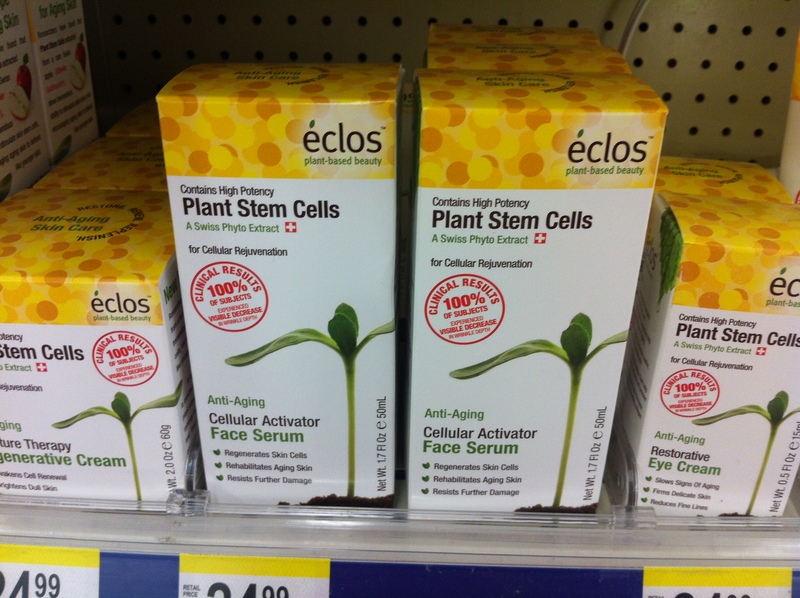 Ethical stem cell research? I call BS. Stop the senseless murder of unborn seeds! Apt name for a tattoo and piercing parlor. 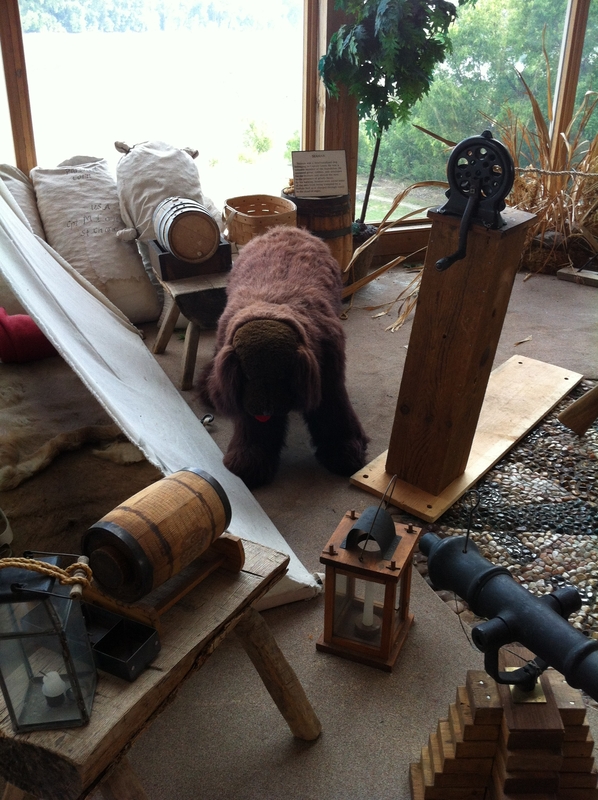 Stuffed dog filling in at a museum exhibit about Lewis and Clark. Wow, talk about lame!